Writing can be an enigmatic art form, familiar yet mysterious. What may appear transparent at first glance proves surprisingly opaque in its depths. The main reason, ironically, is that stories are clothed in the common stuff of daily communication: words. Unlike, say, the techniques of classical music, which require years of study and practice, language is already a part of everyone’s life. Since we all swim in a sea of words, it is tempting to think that good writing should come easily. In my experience, it doesn’t—at least not often. 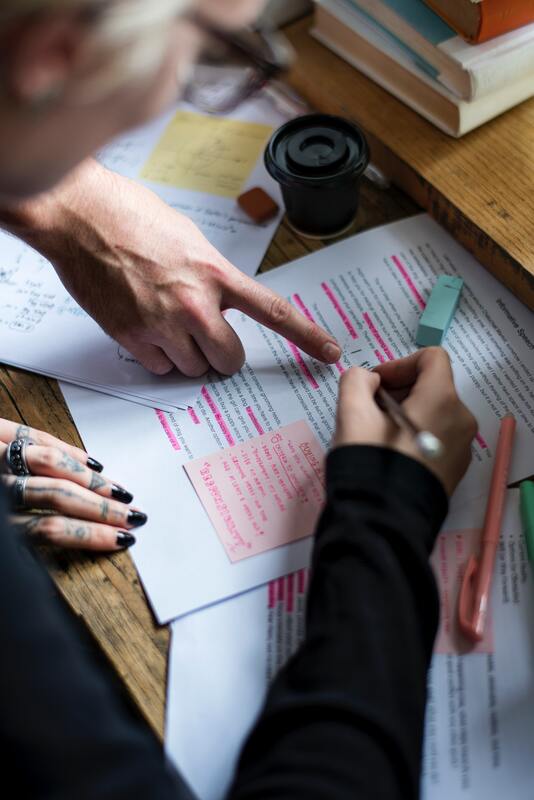 A good piece of writing requires ongoing labor—drafts, feedback, revisions, reversions—until the piece comes as close as possible to the clarity of the original vision. In writing for publication, there is nothing more helpful than to join forces with someone who is both an accomplice and a critic of sorts: a good editor. 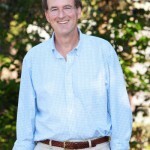 My editor at Fuze Publishing, Molly Best Tinsley, is an example of the perfect editor: someone sympathetic enough to appreciate the intent of the piece, but objective enough to point out areas where it may need work, and knowledgeable enough to suggest possible ways to move forward. 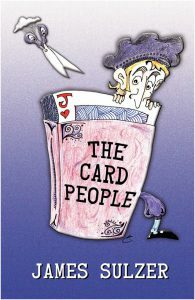 Her editing of my novel for children, The Card People, illustrates the power of collaboration in creating a published text. When I sent Molly a draft of the book, I had already worked on the story for several years. It began, in fact, as a “campfire story” I told my fifth-grade class while on a hiking trip in the White Mountains of New Hampshire and then went through a few drafts (incorporating some suggestions from the kids, who read and commented on an early draft). By the time I sent it to Molly, I thought it was ready for publication. But it wasn’t, as she explained in a series of notes. It isn’t easy to receive news like this, and it’s a good idea to let a day or two go before responding. Writers facing a major revision may experience any number of emotions: disappointment, exhaustion, annoyance, despair . . . and I’ve found the best thing to do is to wait for those emotions to flow through you. At the most basic level, an editor helps a writer confront two central issues: Does the piece of writing give the reader the experience that the author hopes to create? And if not, what needs to change? The answers to these questions are complex and depend on several factors, including the genre, the intended audience, and the strengths of the writer. When making modest revisions, it’s useful to work with the existing text and make changes along the way. But to devise an entirely new lead for the book, I set the original text aside and tried to cast myself back into the mental space of my characters. The book begins with the disappearance of a father. How would his two sons react—the main character, thirteen-year-old Paul, and his younger brother Sam? Usually, I start writing early, just after dawn. But on this day, I deliberately delayed, doing some chores—fixing a washing machine, buying a few supplies. I wasn’t avoiding the work so much as waiting for my equilibrium to establish itself before starting anew. Late that morning I got to work and found a rhythm, and a few hours later I had five pages, my new beginning. It felt closer to my original vision of the book. Molly loved it. Her other major suggestions were to change the book from third-person to first-person narration (with Paul narrating), and to break up the original thirteen long chapters into numerous small chapters. She suggested that these changes could brighten the emotional immediacy of the story and speed up the pacing. Changes such as these aren’t as simple to make as they may sound. Switching to first-person narration meant much more than replacing “he” with “I.” Paul’s sensibility and voice now guided the style and focus of the story. What would he observe, what would he think? There’s another factor to consider as well. Even with first-person narration, the author often must communicate more information to the reader than merely the narrator’s perceptions. The challenge for me was to have Paul describe the action in such a way that the reader can sense what lies outside Paul’s conscious observations. In earlier drafts, with a third-person narrator, it had been easy to drop hints outside of Paul’s experience. Now I had to do this slyly—in a sense, without Paul’s knowledge. Over the course of the meeting, while Paul continues to trust Westfield, he notes the more cautious reaction of his friend Nim, who has also come to the meeting. “You don’t fear for your safety, do you?” David asked. “Unless what?” Nim asked. She was watching David very closely. Having Paul note Nim’s skeptical reactions to David plants a seed of doubt in the reader’s mind about Westfield’s trustworthiness and helps the reader to see around the corners of Paul’s mind. Breaking up the story into shorter chapter units also came with some challenges. It’s good to end a chapter with something dramatic—a puzzling piece of information, a mystery, a cliffhanger—that propels the reader forward. In breaking up the chapters, I looked closely for those tantalizing moments that might work as new chapter breaks. At Molly’s suggestion, I also began leaving “white space” between chapters. Starting some chapters with a jump to a new point in the story releases energy as the reader must scramble (within reasonable limits) to catch up. I rewrote some sections of the book to heighten the drama and heartbreak and streamline the flow of action. I took care to make sure that the emotional responses of the characters reflect the impact of the shattering events that they are witnessing. Molly asked me to make a chart of the escalation of threats and danger in the story, as well as a chart of the changes and growth in Paul during the story. To make those elements more visual, I completed those charts as line graphs. The hallway was long and narrow, with steel doors located here and there along the way. The hallway was long and narrow, lined with steel doors. He let out a dramatic groan. Making those improvements at the verbal level was the final step in my labors to create a world with concrete action and vivid detail. These wording changes may appear small, but together they help to guide a reader smoothly and seamlessly into the story. Because writing is clothed in the language of daily speech, the familiarity of the medium can obscure the artistry behind the words. The best writing makes smart use of the “common stuff of daily communication” to draw readers into its magic circle and capture their hearts and minds. What are your experiences with editors? Let us know in the comments below! Written by: James Sulzer on January 25, 2019.